There are a few things in this world that are just magical. One of them is the Christmas season. Everything about this holiday is beautiful with just a bit of magic. So throw in one of children&apos;s favorite animals, a pony, and you have the makings for a very special event. Those of you looking for a great family-friendly activity that supports a good cause look no further. 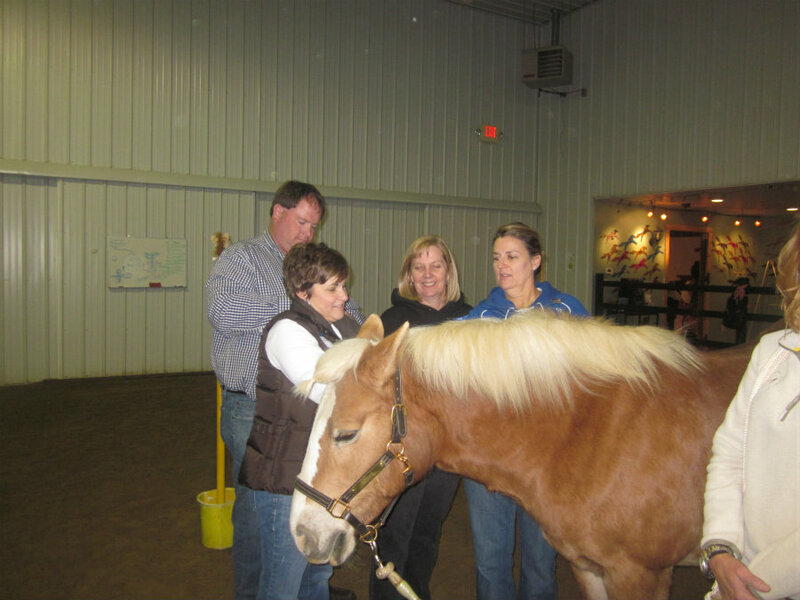 Strides to Success, 1350 Terry Drive, Plainfield, Indiana, behind the new Plainfield High School, will host Christmas with the Ponies from 4 to 8 p.m., Dec. 14 & 15. What is Strides to Success you ask? I got the privilege a few weeks ago of visiting this awesome facility in Hendricks County. 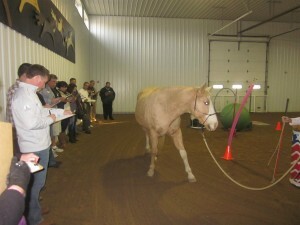 Strides to Success is an equine experience organization. The mission of Strides to Success is, "to provide unique equine experiences that promote learning opportunities that strengthen and develop lives." Strides boasts services ranging from: KID coaching, Therapeutic Horsemanship, Mental Health Services, Coaching & Leadership Retreats as well as Yoga. My visit to Strides was for a leadership retreat with the Plainfield Chamber Board of Directors. We had a great time learning about our individual and group members&apos; leadership styles. We got the opportunity to work with some horses and try out our team-building skills. The staff at Strides to Success did a wonderful job of leading our group through our retreat. It was a unique, eye-opening and fun experience. Hendricks County is beyond fortunate to have such a wonderful facility in our county. With this Christmas with the Ponies event, they are inviting visitors to come in not only to get a glance of what they do but also to support their mission. Christmas with the Ponies also sounds like the perfect event to not only take your children but to satisfy the child in all of us. Owner Debbie Anderson shared some inside information about the event: "Christmas with the Ponies serves as a means of raising income to support the Strides scholarship fund. This fund supports individuals and families that need the services provided at Strides, but that may not be able to afford to pay. For many people that have suffered a life trauma, whether it is the loss of a loved one, a broken marriage or suffered abuse or neglect, the road to recovery can start by reconnecting through healthy relationships." Anderson said for many people, that process can start with animals. 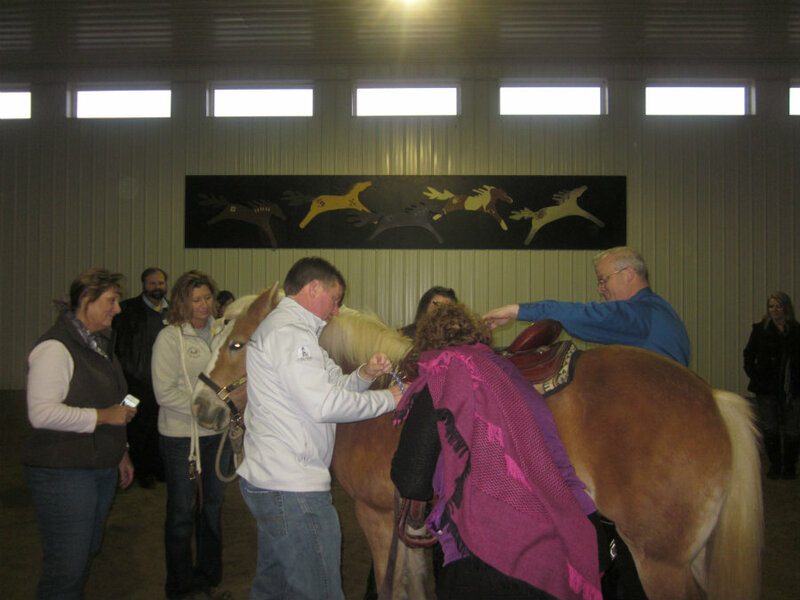 After learning to connect with the horses, skills are then transferred to human relationships. The Christmas with the Ponies event encourages families to come together for some holiday cookies and punch and visit with Santa and one of his favorite miniature horses. Family pictures will be taken and then it is off to meet the other horses stabled at the Strides facility. 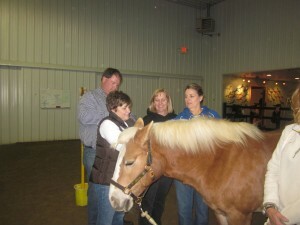 Children will have the opportunity to see the ponies and horses and maybe even some other farm animals. Santa will also have an indoor (and heated) reindeer trail that has lots of interactive Reindeer games like Roping Reindeer, The Red Nose Walk, Snowman Toss, Reindeer Limbo, and more. After all the fun games, families will move into Santa’s workshop where they will make picture frames for their family picture. This event is loads of fun for the entire family. Create a great memory for your family while giving back to the community for a $20 donation. I hope your family will join mine at this fun event for a good cause! I&apos;d love to hear about a great story you have to share about Strides to Success or feel free to share your photos of Christmas with the Ponies on our Facebook page!